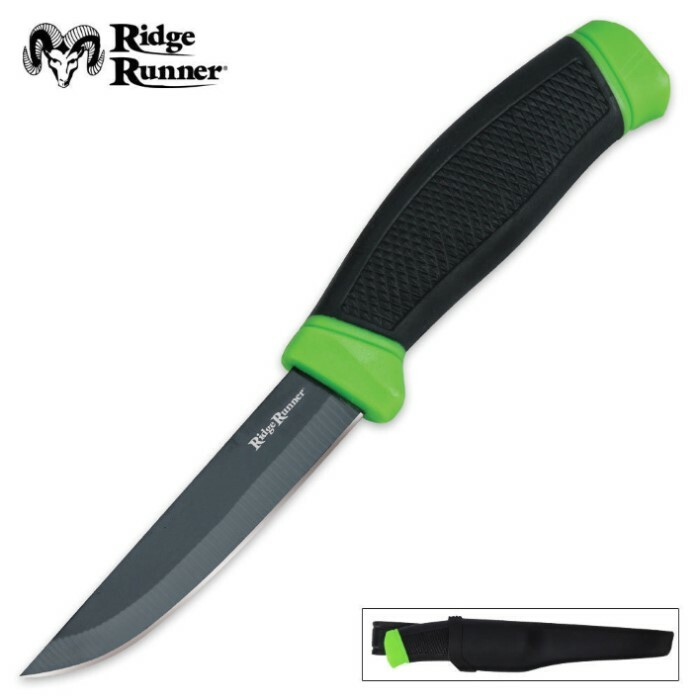 Ridge Runner Apocalypse Dive Knife with Sheath | BUDK.com - Knives & Swords At The Lowest Prices! This Ridge Runner Apocalypse Dive knife features a black-coated stainless steel blade and a rubberized handle. Includes an ABS belt clip sheath. It can brave the waters or land! 8 1/2" ov. I bought these on the BOGO and I am very impressed wit them. Thy didn't come very sharp but a few swipes on the steal and they are both razor sharp. Sharp enough to shave a few spot's o my arm smooth. Next time they have then BOGO I am going to order a few of them.